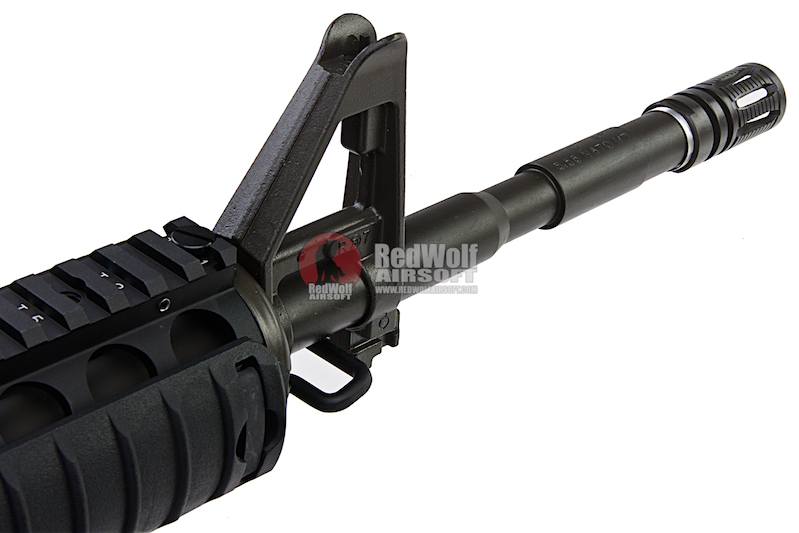 Fully Licensed by Knight's Armament. 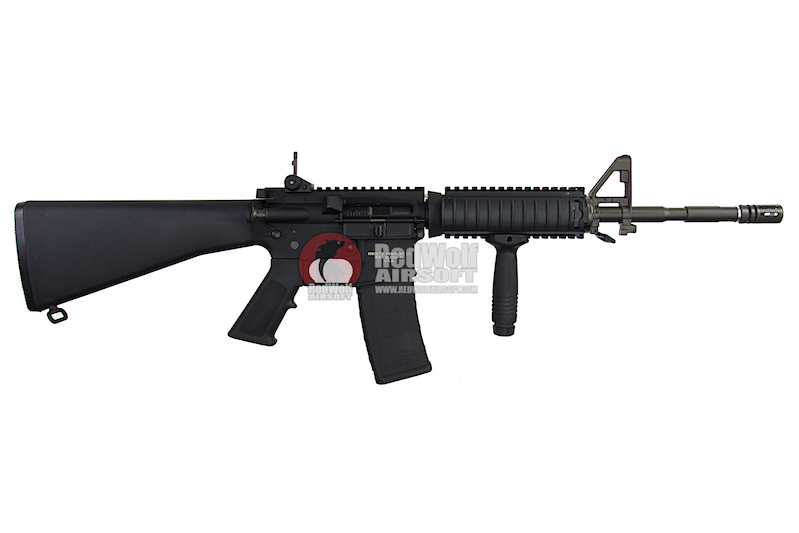 The VFC SR16 series is a classic variation of the well known M4 series of rifles. 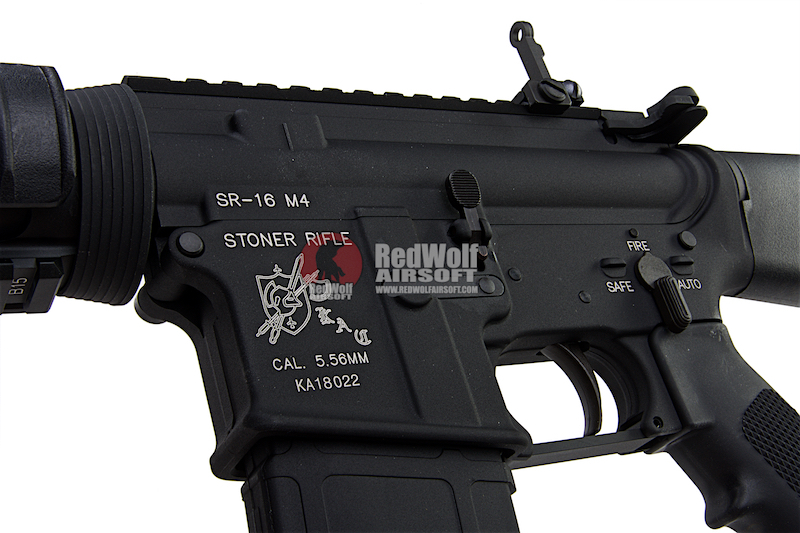 The SR rifle denotes "Stoner Rifle" named after famed weapons designer Eugene Stoner. 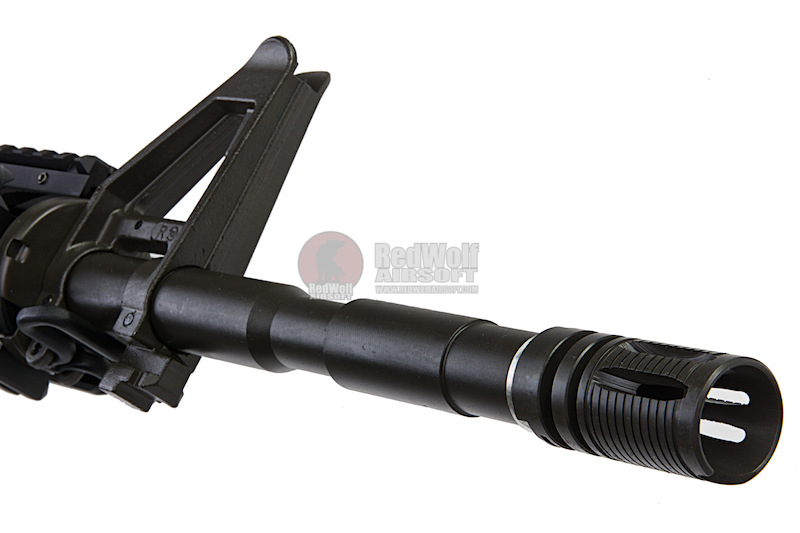 The VFC version here pays full attention to ensure the replication is faithful to the real steel counter part. The gun is gas blowback and functions just like the real one. 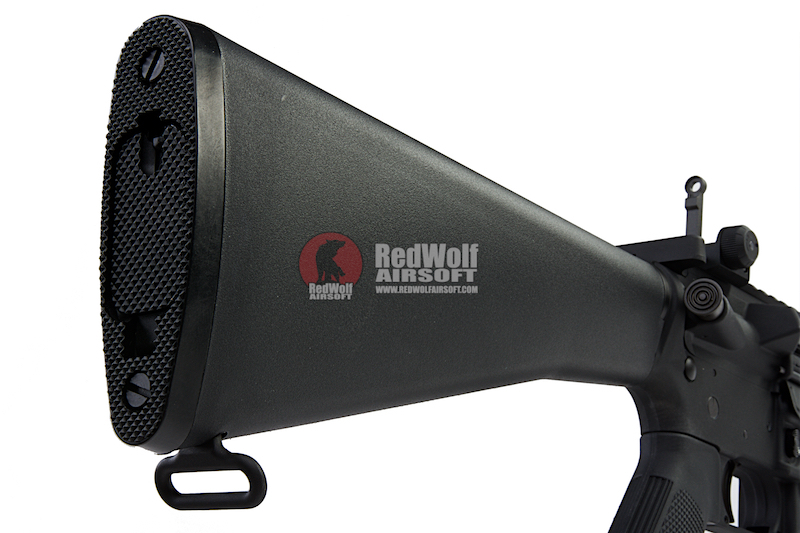 It features strong and stable FPS, realistic take down, and comes with the VFC V Mag. 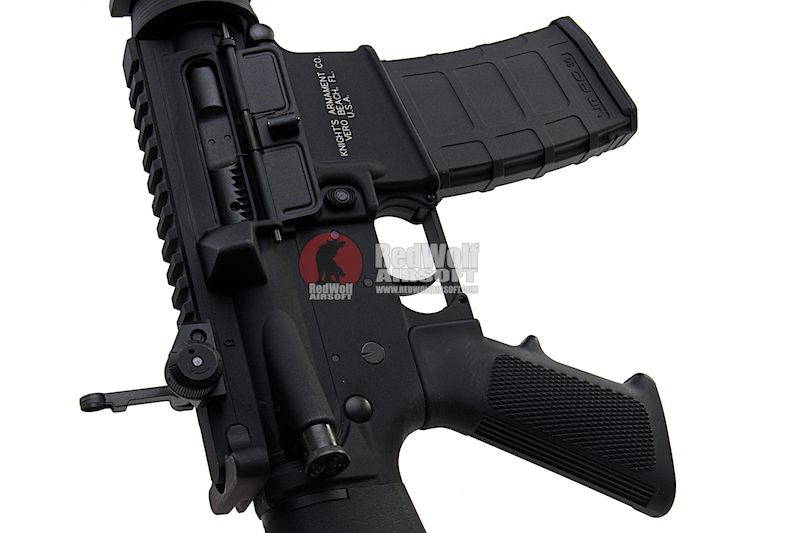 The SR16 comes with a standard quad rail up front and this particular one comes with a fixed stock. 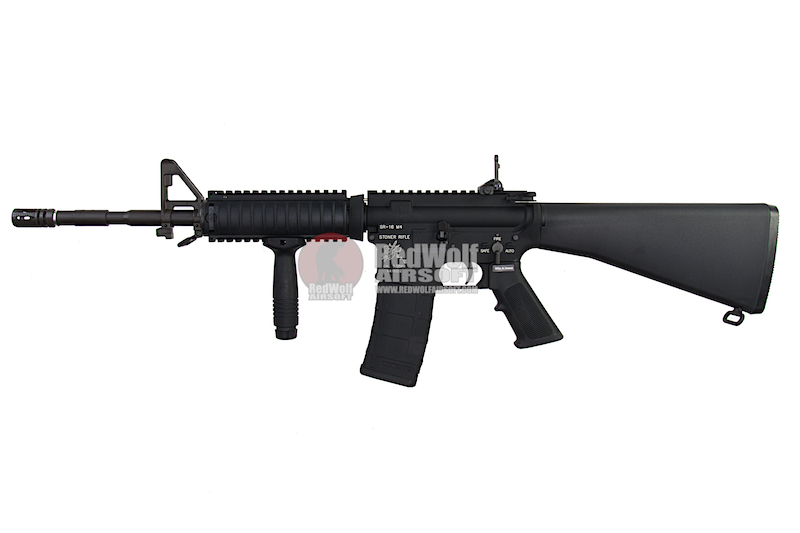 x1 x1 VFC KAC SR16M4 GBBR - DX / Fixed Stock (licensed by Knight's).